The leaves are changing colors. They are starting to fall off the trees. At least they are in other people's yards. The reds really wanted to jump in a pile of leaves. I saw them walking off with rakes in tow to the neighbors' yard which was full of leaves. 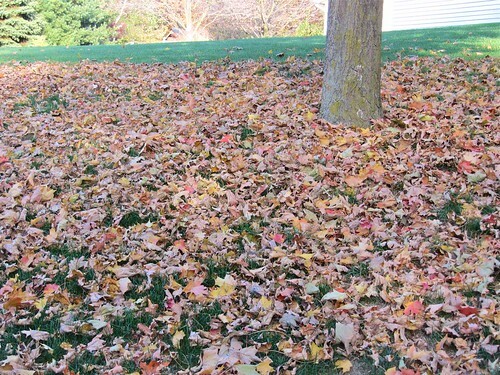 They didn't ask permission so I made sure they scattered the leaves back up before they came in for dinner.